Free Shipping Worldwide. Ships usually within 2 days. The Lakme Summer 2009 collection celebrates the modern bride who chooses easy femininity over elaborate splendour. Inspired by colors that are easy, natural and feminine, the collection features warm shades of honey beige and antique rose. Make-up in light, silky textures for the Indian summer, to bring out the blush and radiance of the individual and confident Indian woman. 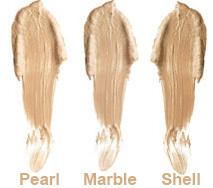 Silk Naturelle is a weightless foundation that blends into your skin for a naturally beautiful and radiant finish. Its fresh, silky and delicate texture leaves your skin flawless as if wrapped in silk. With gentle moisturisers and sunscreens - SPF 8, this natural make-up is designed to be used every day. Just Kissed Cheek and Lip Tint is a revolutionary, new product that adds a pop of color to your cheeks and lips giving a freshly flushed look. The silky gel works into your skin and adapts to your complexion into the shade you blush naturally. 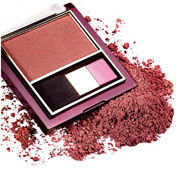 Highlight your cheeks with a flush of color for that just-blushed look. Dab evenly on your lips for a berry-kissed look.